The BMSCA board of directors has spent the past few months planning and discussing the McQuade Distributing, Budweiser North Dakota Governor's Cup and has now made the final call on format and divisions running. 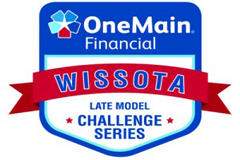 The One Main Financial Late Model Challenge series will be back to headline both nights of the cup, with almost 20 late model's in Western and Central ND already, the field for this race will be hefty. Challenge Series Late Models will run complete shows both nights as they have done previous years. IMCA Modifieds, Wissota Street Stocks, INEX Legends, Hobby Stocks, and IMCA Sport Compact's will support the Late Models both nights running heats on night one, and the B and A Mains on night 2. 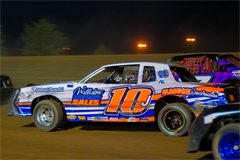 IMCA Stock Cars will join the other 6 classes on Friday running a complete show, Dacotah Speedway has been looking for something a little extra for the Governor's Cup IMCA Stock Cars are a great fit for the program. 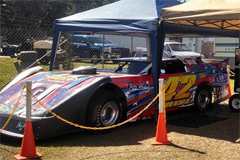 Contingency sponsors are being sought out to help boost the show, and give drivers extra rewards. Another change from previous years is points, all classes will have points sent in to there respective sanctioning bodies, but this weekend will not qualify for track championship points. This was done due to the high car counts and extra cars coming in for the 25th running of the North Dakota Governor's Cup. The RU Racing | Roster’s Ultimate Racing full size, Late Model Simulator will be at the North Dakota’s Governor’s Cup on Friday, July 24th and Saturday, July 25th. Get the fastest lap and win cash! And it gets even bigger and better. On Saturday, July 25th, get all your racing buddies to ride in the Late Model Simulator and if Dacotah Speedway has the most riders (there are four other tracks in the competition) a name will be drawn from everyone that rode in the simulator on Saturday night and that person will “Win the Garage Party” with the RU Racing | Roster’s Ultimate Racing Simulator coming to your garage!